Boating safety advocates across the U.S. and Canada have teamed up to promote safe and responsible boating, including consistent life jacket wear every time boaters are on the water, during National Safe Boating Week, held from May 21-27, 2016. 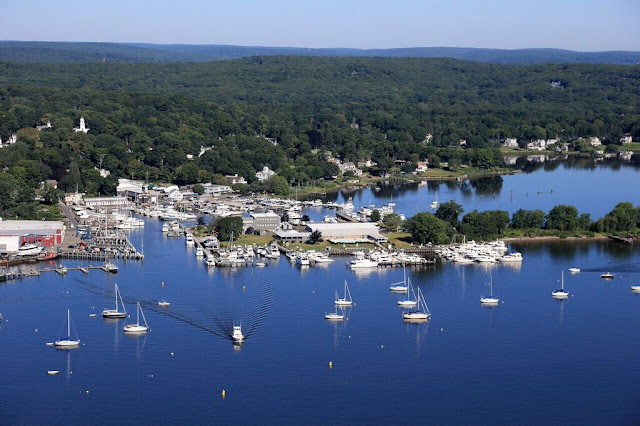 The week is typically planned for the week leading up to Memorial Day in the United States, which is the unofficial start of boating season in much of the country. National Safe Boating Week is the launch of the 2016 North American Safe Boating Campaign. This yearlong campaign promotes safe and responsible boating and the value of voluntary, consistent life jacket wear by recreational boaters through the national theme, Wear It! U.S. Coast Guard statistics show that drowning was the reported cause of death in three-fourths of recreational boating fatalities in 2014, and that 84 percent of those who drowned were not wearing life jackets. New life jackets are much more comfortable, lightweight and stylish than the bulky orange style most boaters know. There are innovative options, such as inflatable life jackets, allowing mobility and flexibility for activities like boating, fishing, paddling or hunting, and are much cooler in the warmer weather. Throughout the campaign, Wear It! will remind boaters of the importance of boating safely, including consistent life jacket wear, boating sober, knowing navigational rules and having a proper lookout. Partners will host local events, teach classes, offer on-water training, distribute educational materials, and perform free vessel safety checks. Wear It! 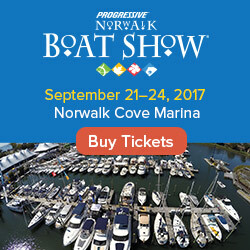 unites the efforts of a wide variety of boating safety advocates, including the National Association of State Boating Law Administrators and Canadian Safe Boating Council with the National Safe Boating Council. It is produced under a grant from the Sports Fish Restoration and Boating Trust Fund, administered by the U.S. Coast Guard. Follow Wear It! on Twitter at @boatingcampaign, like on Facebook at facebook.com/safeboatcampaign, and share your boating story at safeboatingcampaign.com. Over the past few months, the Boat Owners Association of The United States (BoatUS) has been busy compiling their annual list of the most popular boat names of the past year, and they have finally released it today. As we all know, a boat name can reveal much about the personality of a boat owner. But as obvious or obscure as some boat names may seem, choosing a boat name is no easy task. To help boat owners come up with ideas, BoatUS asks a few questions to help them start thinking about the process. Are they into fishing? "Reel Therapy" certainly shows it. Do they have kids in school? The name "What College Fund?" says it best. Like to sing? The name "In Harmony" is a popular choice. Work in the finance industry? "Liquid Assets" is suitable. In addition to BoatUS's annual lists, there are also resources such as the Boat Name Blog to help you pick out a name. 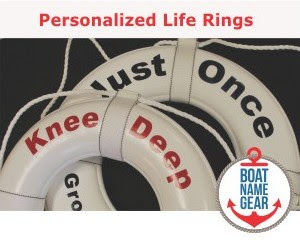 No matter what boat name you choose, it will look great once you get it embroidered on shirts, hats, totes and towels from the professionals at BoatNameGear.com. They make any boat name look good and are the best company we know for getting nautical swag.